Not to Forget uses the crossword format in multiple forms and sizes to explore historical events, positive and negative, through community participation. Small or large projects tailored to geographic location can be developed to review, discover, or reveal important events and the people involved through workshops and exhibitions. Work in progress on Ayotzinapa: Presente. 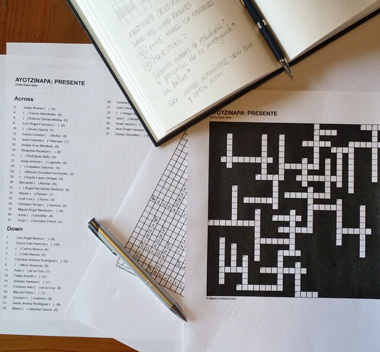 Here, crossword puzzles are being developed for a workshop and exhibition to commemorate the victims and review facts relatated to events that took place in Iguala, Guerrero, Mexico, on September 26, 2014 that led to the tragic disappearance of 43 students, 6 confimed deaths, and 24 wounded. 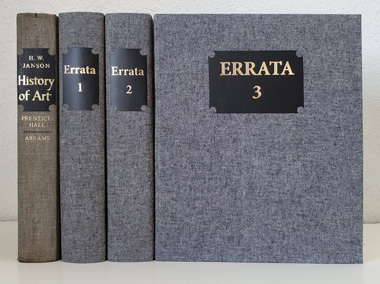 The Errata Project, building on the conscious omission of women artists in the early editions of H.W. Janson’s History of Art, takes the form of a continuously growing library archive dedicated to female artists and establishes a related social platform. 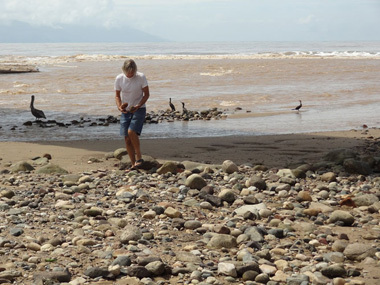 The project is realized through participating institutions as they collaborate with the public. It creates an instrument for community involvement to maintain sustained dialogues about women in art and society with the ultimate goal of sensitizing people at local levels towards gender equality and positive changes. 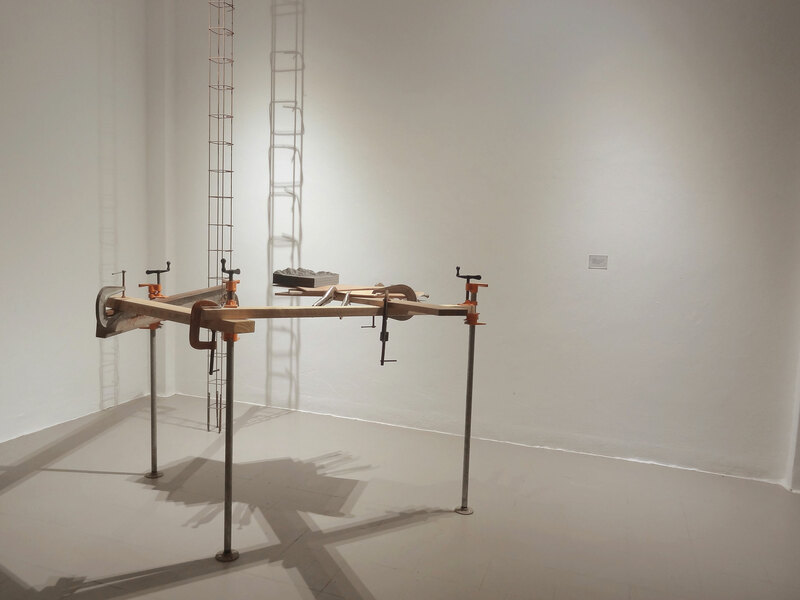 The Errata Project forms part of the 2018 Oficina de Proyectos Culturales (OPC) Public Programming, awarded support by the Fundación Jumex Arte Contemporáneo. 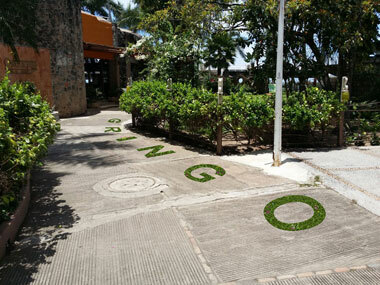 Forming part of a public plaza or walkway, the installation Gringo is made by cutting away or creating with the existing materials, the letters of the word Gringo, as openings to the ground below, where grass and small flowers are planted. 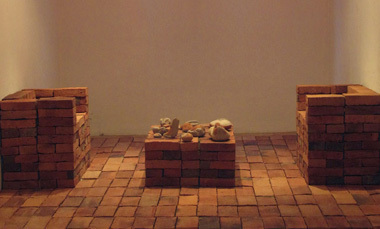 The realization of Project Gringo is dictated by the physical characteristics, weather and demographics of the host location to create a platform for discussion about the historical, conceptual, and social ramifications related to the word Gringo and the symbiotic nature of an immigrant’s life in a foreign community. The works in this project are derived from the military ribbons worn by specific generals and inspired by the Obedience Experiment from the 60s conducted by Stanley Milgram, at Yale University. 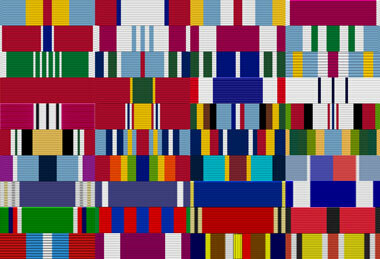 Removed from the context of the military uniform and scaled up in size, the design of the grouped medals transforms into a colorful work of art in a modernist, hard-edge style, distant from the concept of war. The romantic and majestic landscape paintings of the later 19th century played a pivotal role in the concept of Manifest Destiny and western expansion in the United States. These works inspired many to move west with the promise of a new life in unspoiled lands teeming with abundant natural resources. The concept of utopia continues in the landscape genre. The works from the Rendezvous Landscape Series are comprised of imaginary images, post cards and found landscape paintings. 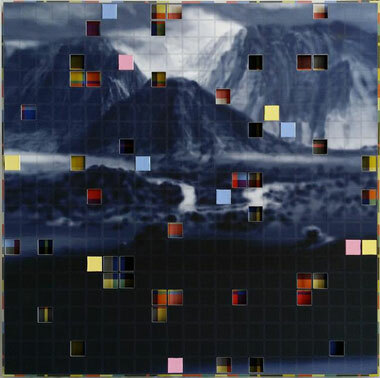 The landscapes from this series are then sectioned off in quadrants in a similar fashion to surveyed land. The grids also pertain to the multitude of grids we use and encounter in our daily lives, such as the longitude-latitude indications on our GPS, street grids and even the pixel grid on our computers. The surface of the landscapes are then painted on to indicate areas designated for development and or cut away in parts revealing a plaid, or Tartan design. This design reflects my Scot-Irish ancestry and communal carbon footprint and creates a reference to a street grid, an idea influenced by the work of Piet Mondrian, especially his work following his arrival in NYC after WWII broke out. The removed sections of the landscapes are indebted to the process of destruction utilized in the work of Lucio Fontana. The destruction in this case, however, is systematic. The found paintings for the Rendezvous Series inherently embody a historical reference to the origins of the landscape genre. Even the most common, production line, factory landscapes found in many homes are simply a diluted commercial continuation of a long tradition of landscape paintings offering a window to an unspoiled utopia. 69.5 x 99 x 3.5 cm. 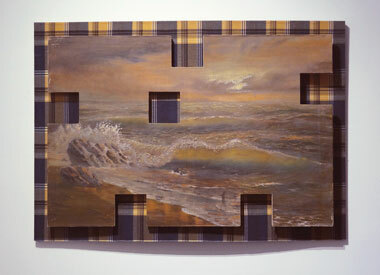 This work is an intervention with a painting executed by the artist Aldolfo Espinoza de los Monteros. Painted in the early 70s, I found this piece hanging on the wall of one of my favorite jazz lounges, El Patio de Mi Casa, in Puerto Vallarta. Years after an initial request, the owner graciously allowed the evolution. 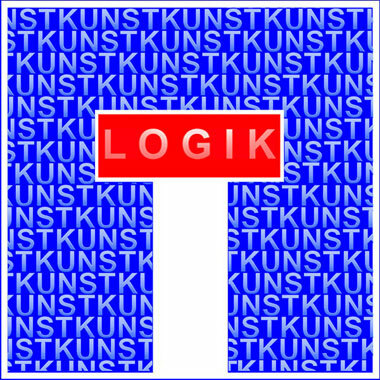 Inspired by the writings of the philosopher Karsten Harries on the importance of art, the Art/Sign Project is an intervention, or sculptural installation using the European dead-end street signs on site, or as sculptural elements, to offer a dialogue on the power of art in our society. The works in the Extraccion Project address levels of censorship through the playful modification of a published text. The original text is progressively pared down to create diverse meanings very distinct from the original version. Within this same series, several works demonstrate an extraction of Spanish texts from an original English text. As travelers, our tendency is to focus on the visual aspects of a trip, capturing images of the places and people we want to remember, or share with others. In this group of works the focus is on a different aspect of travel...a graphic trace of the vibrations as we move from one place to another. 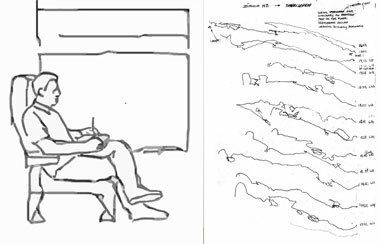 Good Vibrations is a group of drawings that captures the vibrations and movements while traveling by train between destinations. It was an admiration of minimal line drawings from the 60s and 70s that initially inspired the Spiral Series (1998- ). Using simple systems, artists such as Sol LeWitt and Agnes Martin created beautifully sophisticated work. Within this context, I was interested in finding a simple system for creating drawings that adhere to basic rules, but which can also develop without a specific outcome. 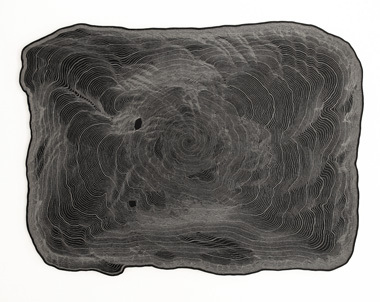 It was the organic beauty of altitude levels on topographic maps that brought me to the idea of using a simple spiral. Added to its beauty, the spiral form has a rich, dense history dating back to ancient, megalithic art and is prevalent in nature, fractal growth systems found on any scale from minute biological configurations such as DNA strands to the vast formations galaxies demonstrate as they expand in the universe. 179 x 246 x 6 cm. DeTuR is a collection of works and projects using eroded brick and mortar fragments accumulated since 1985 from various parts of the world. As a form of contemporary archaeology, these fragments have been used in small intimate works as well as large installations to offer discussions on time, purpose, chance, destiny, migration and archaeological practice. The journeys we make in life are not always by choice. In the wake of human migration, millions of relevant stories will never be told. The real history of the brick and mortar fragments in these works will also never be known, but they can be imagined through the empathy of our own life's journey. In collaboration with students and professionals, a series of invented texts and timelines were created to establish a history for a selection of eroded fragments to underline the unknown histories inherent to each fragment and to parallel the use of story-telling as a tool in the mechanics of historical documentation. 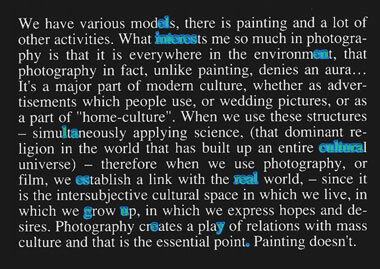 The Time Series work is text based and it is the relationship of the surface characteristics in conjunction with the text that create meaning for the viewer. Each of these works resembles a timeworn, rusted iron sign conserved from a bygone era. The surface appears to have been in a state of decay for many years, a faux relic, creating the idea of archeological evidence, of an event from the past, a memory, which no longer retains the urgency of the moment, but transmits, or embodies a sense of nostalgia. 9 x 85 x 4 cm. 35 x 6.5 x 3.2 cm. The photographic work from the Outpost Series was originally derived from the process of documenting wire sculptures. 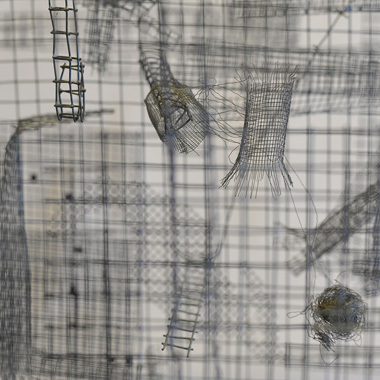 Since 2008, the wire structures have been built and staged for the purpose of photographing them. The images from this series are windows into undefined spaces inhabited by components of industrial, as well as inorganic, biological forms in possible macro o micro environments. Aesthetically, the work in this series explores the distortions and characteristics the camera’s mechanical eye captures to enhance the mystery of the environments created. 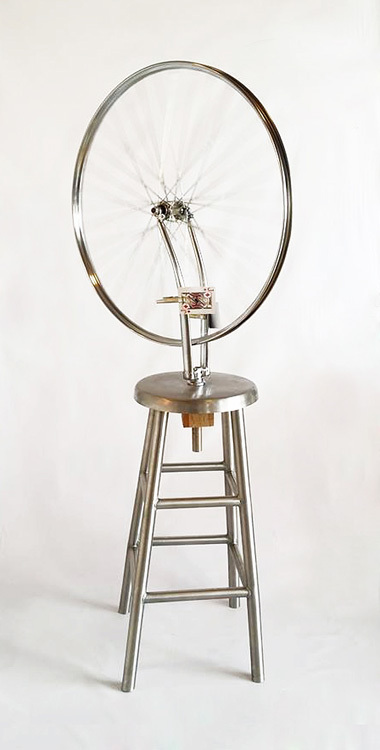 Exhibited first in Zürich in 1998, this interactive sculpture acknowledges and applauds the Dada movement as an important driving force in the development of contemporary art. 144 x 64 x 50 cm. All images on this webpage subject to copyright. (c)2013 Davis Birks. All rights reserved.